It is questionable if the Trans-Pacific Partnership will be beneficial for Vietnam. After a decade of negotiations, the Trans-Pacific Partnership (TPP), signed in February this year, is now set to go to legislators among the twelve signatory states for ratification. And they have much to consider: the expected economic gains are disputed; protests have erupted in the USA, New Zealand, Peru, Malaysia, and elsewhere; and critics warn that the agreement – negotiated entirely behind closed doors – carries provisions catering to corporate elites to public detriment. Proponents of the agreement often claim that Vietnam, at least, will be an unambiguous winner. But even here, significant costs and risks have been overlooked. The potential gains for Vietnam seem to be overwhelming at first glance: a study by Peter Petri and Michael Plummer at the Peterson for the Institute for International Economics estimated that exports will expand by nearly 40 percent by 2025 and in their follow-up study they predicted real income would grow 8.1 percent larger under the TPP by 2030 than under the baseline scenario. These results have been further supported by a 2016 World Bank report that predicts a 10 percent increase in national income linked to the TPP by 2030. As a market-transition economy with high tariffs, Vietnam would benefit from a larger degree of trade opening under the TPP than any other member. 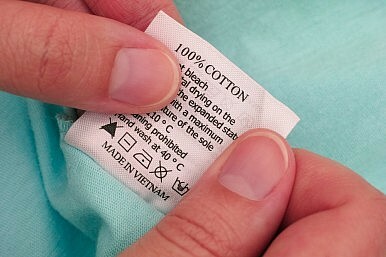 In the U.S., tariffs on Vietnamese apparel and footwear (the country’s key exports) reach nearly 20 percent and 50 percent, respectively, and will be reduced by one-third up-front and phased out completely over a decade (although many other tariffs have a phase-out period of up to 30 years). Vietnam’s small size relative to other members also means market access will allow Vietnamese firms to scale up production, and foreign direct investment (FDI) is expected to increase along the lines of Mexico’s experience with the 1993 North American Free Trade Agreement (NAFTA). But a closer look suggests such benefits are by no means clear. As Harvard economist Dani Rodrik noted, the economic models used to estimate the effects are contested. In a rival model to Petri and Plummer’s paper, Tufts University’s Professor Jeronim Capaldo, Alex Izurieta of the United Nations Conference on Trade and Development, and former UN Assistant Secretary-General Jomo Kwame Sundaram recently estimated that national income gains would be relatively modest in Vietnam while employment losses and increased inequality would result from increased competition forcing businesses to drop wages and shed employees. These outcomes would likely be partly due to losses of jobs and production in fisheries, livestock, and agriculture. And given that half of Vietnam’s population still works in these sectors, this could lead to considerable hardship, as happened in Mexico in the decade following NAFTA, where economic growth and employment stagnated, wage inequality increased, and agricultural employment fell. In an appraisal of NAFTA’s effect on employment and growth in Mexico, a 2009 Carnegie Endowment for International Peace report concluded it “failed to deliver what Mexico needs most.” Vietnam risks falling victim to a similar outcome. Mexico’s experience also gives reason to be wary of NAFTA-style investment rules. While FDI inflows increased rapidly in post-NAFTA Mexico, economic growth stagnated at around 2 percent per annum as total investment fell: FDI crowded out domestic investment, domestic businesses went under, and public investment declined. Meanwhile, relaxed rules regarding profit repatriation meant that almost half of all returns by foreign-owned companies flowed out of the country between 1990 and 1998. Under the TPP, Vietnam will need to hastily carry out significant economic, legal, and regulatory reforms, and this carries much uncertainty. New rules requiring Vietnam to sell off many state-owned enterprises and cut subsidies will be particularly challenging politically, cutting off government influence (and revenue) in large chunks of the economy. If successful, these reforms may bring accountability and efficiency gains, but rapid privatization also brings many risks, including of rent-seeking, corruption, and market distortions – as was the unfortunate outcome in many post-Soviet and Latin American market transitions. With these reforms the Vietnamese government will also renounce policy tools that have played a crucial role in Vietnam’s development. Export promotion, domestic-content requirements, subsidies, and investment regulations all helped Vietnam to develop higher-value industries in recent decades. But they are ruled out under the TPP, so the government’s hands will be tied if it wishes to further direct its industrial development in coming years. But moving up the global value chain may be crucial to Vietnam’s long-term development prospects. In China, increasing value-added production has been central to its rapid economic rise and has largely been the result of strategic state interventions such as policies aimed to nurture production in electronics and other higher-end goods. Whereas while Vietnam may be better placed to scale up production in its current labor-intensive industries, the TPP may ultimately prevent it from gaining a foothold in markets for more sophisticated goods. And if, on the other hand, Vietnam fails to complete these extensive reforms, it will miss out on the full benefits of market access under the TPP. Skepticism regarding Vietnam’s capacity to make the changes so quickly lingers among TPP members – not least because of the civil service’s poor governance issues – and has led to the creation of an independent commission to monitor the process for the first ten years after the agreement goes into effect. The benefits of the deal will also be undermined by strict rules of origin, often requiring 30-60 percent of a product’s value to be derived in the exporting country. In particular, the contentious “yarn forward” rule will require Vietnamese exporters to buy yarn (and other textile inputs) from TPP member states in order to access tariffs cuts in the United States. But since Vietnam sources most of its materials from non-TPP states (above all, China), it will not be able to fully benefit from tariff reductions in its key industries. A final, crucial risk is that the investor-state dispute settlement mechanism will make the Vietnamese government beholden to private companies, being forced to compensate them when laws or regulations undermine expected profits – even when such rules are designed to protect the public from harm. Unlike in domestic legal courts, such mechanisms are not designed to be impartial and transparent. Rather, only private companies can bring cases against governments (while civil society cannot), proceedings take place beyond public scrutiny and can be so costly that governments find themselves unable to fund their legal defense without external support, and arbitrators can be appointed despite clear conflicts of interest. Much uncertainty remains regarding the effects of the TPP on Vietnam, but a wary look at the deal highlights many risks: increased inequality and unemployment are likely, while the benefits may not stack up to expectations. But perhaps most worryingly, the Vietnamese government will lose autonomy in policymaking and regulation-setting by renouncing important policy tools, selling off state assets and submitting itself to the authority of powerful, unaccountable settlement courts. If Vietnam represents our highest hopes for the TPP, then legislators around the Pacific scrutinizing this document for ratification would do well to reconsider how beneficial this trade agreement really is. Dylan Chambers is a researcher at the Global Public Policy Institute in Berlin. Should the Rest of Southeast Asia Join the TPP?TPP: A Step Forward in Multilateral CooperationCan the TPP Rescue Global Economy?Here's What Needs to Happen in Order for the Trans-Pacific Partnership to Become BindingAfter Hawaii, What Issues Remain for the Trans-Pacific Partnership Talks?